The business of tuning Porsche sports cars is a big one. It can also be an expensive one depending on where you go. Still, Porsche owners, particularly those who have the 911, have shown little hesitation in giving their sports cars these programs, partly because of the need to unlock the car’s full potential and partly because, well, they can. One tuner that has proven its worth in this regard is TechArt, the same German aftermarket company that recently gave us this beauty of a tuning kit for the Porsche 718 Cayman. Seems fitting then that with that upgrade comes another one for the 911, and it’s one that most of us are all too familiar with. 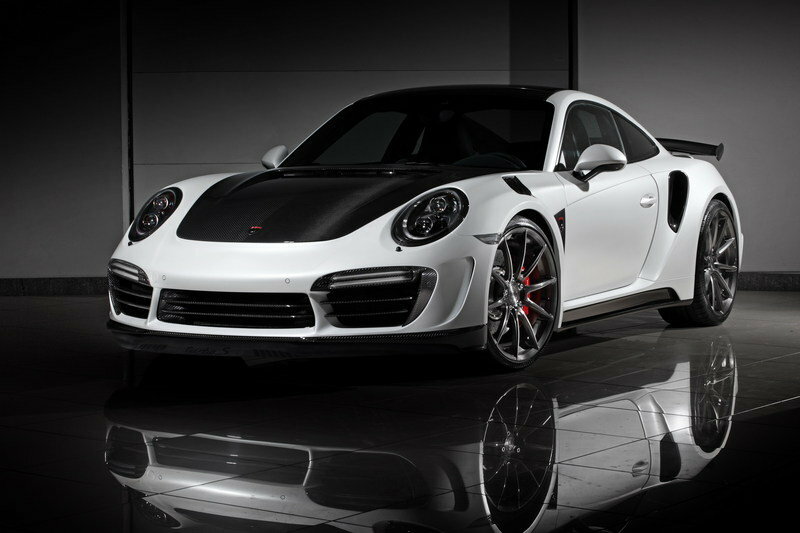 Ladies and gentlemen, this is the new Porsche 911 Turbo S GTStreet R by TechArt. The GTStreet program goes back a long way with some of the earliest iterations developed for previous-generation 911 models. This new one, though, is for the incumbent model, the same 911 Turbo S that tuning rival Gemballa used to develop its own new version of the Avalanche program. 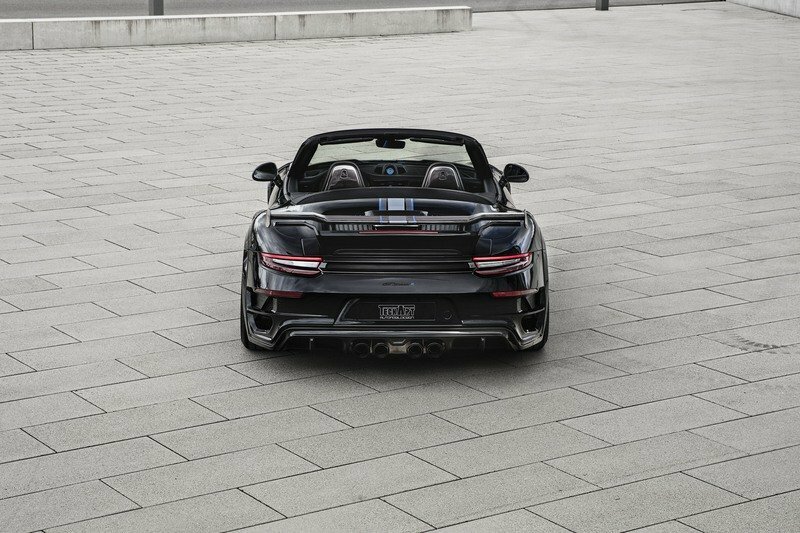 In a lot of ways, there are some shared similarities between what Gemballa’s Avalanche program is offering to that of TechArt’s GTStreet R kit. 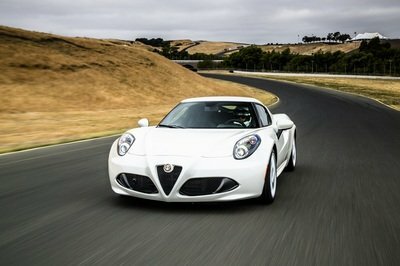 There’s the obvious power enhancement, which in the case of the latter, can go up to as much as 720 horsepower. There’s the unmistakable aerodynamic kit, which, as you can see in the photos, is as audacious as it is mesmerizing. 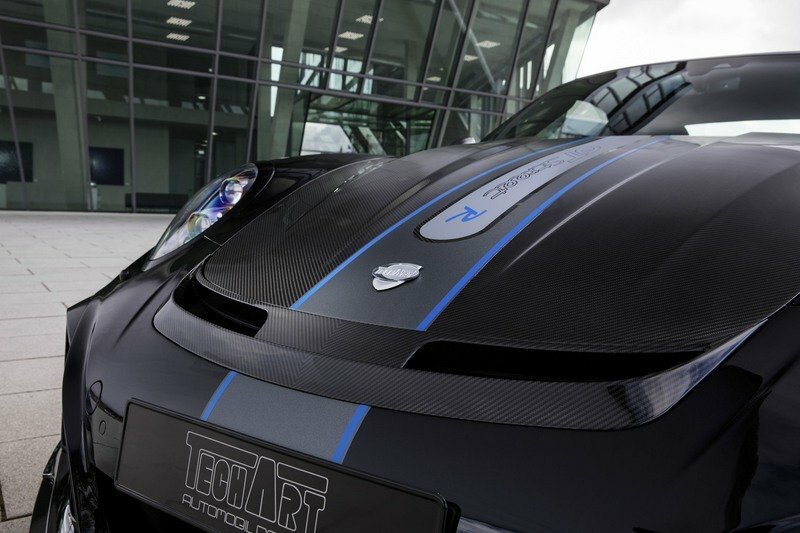 Best of all, there’s the unmistakable attention-to-detail that only a tuner like TechArt can provide. The company, after all, made its bones developing aftermarket kits for Porsche models and this new GTStreet R program is just the latest example of that peerless drive to be the best in its market. 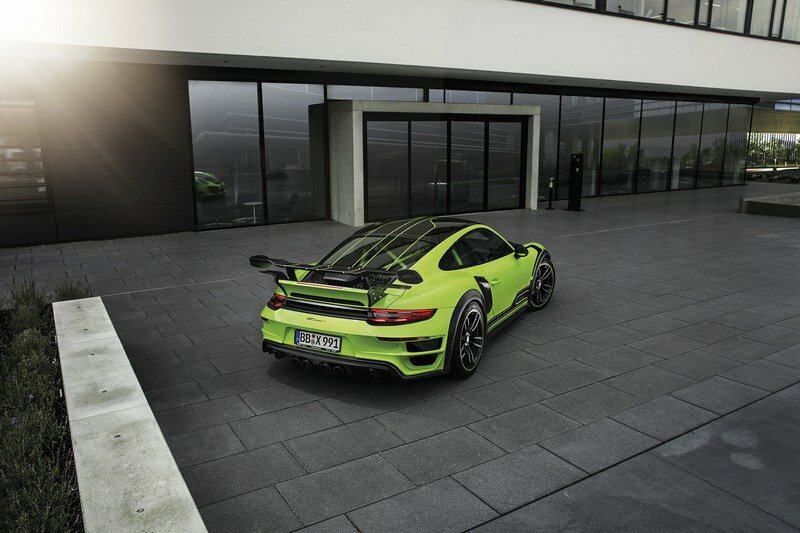 Continue after the jump to read more about the Porsche 911 Turbo S GTStreet R by TechArt. 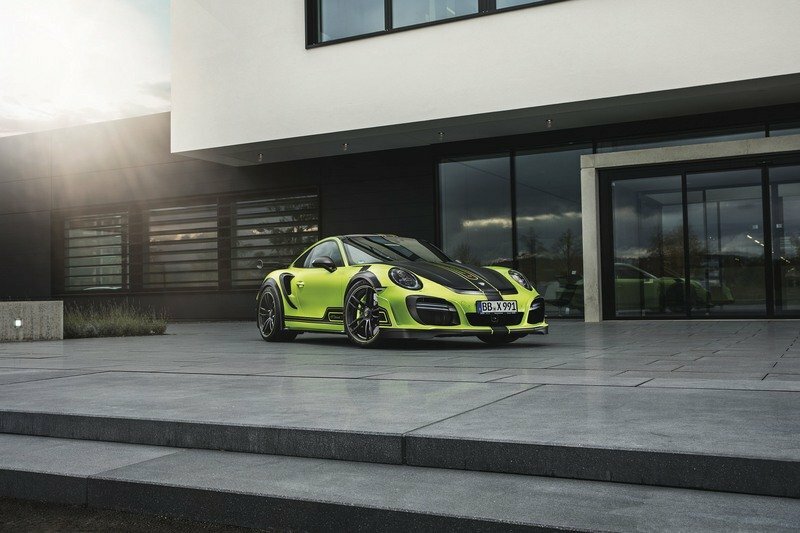 TechArt says that its new GTSTreet R program for the Porsche 911 Turbo S results in a “thrilling experience” and after piecing through all the elements of the program, there’s absolutely no reason to disagree with such flowering statements. 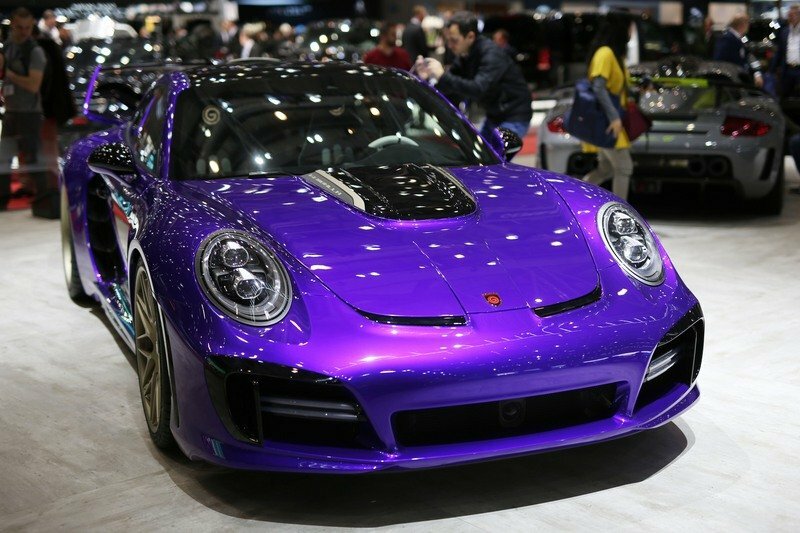 TechArt really did its homework on this one and it shows in every facet of the sports car. The exterior alone is worth the price of admission as TechArt fitted it with a massive but lightweight carbon fiber aero dynamic body kit that turns the tables on the car’s prized aesthetics while also laying down huge improvements in its handling capabilities. Up front, there’s a new front apron that has its own active front spoiler lip. You can immediately tell how different the whole profile looks with the presence of the apron but more importantly, it helps improve the airflow that goes onto the car. The addition of a central air outlet also aids in that regard by cutting down the aerodynamic lift in this section while the laterally positioned flaps does their own version of work by improving downforce and reducing drag. On the cosmetic side, carbon airframes were added around the integrated front lights while a lightweight carbon front lid comes bearing TechArt’s own logo, creating that all-too important identifier of the company’s tuning prowess. 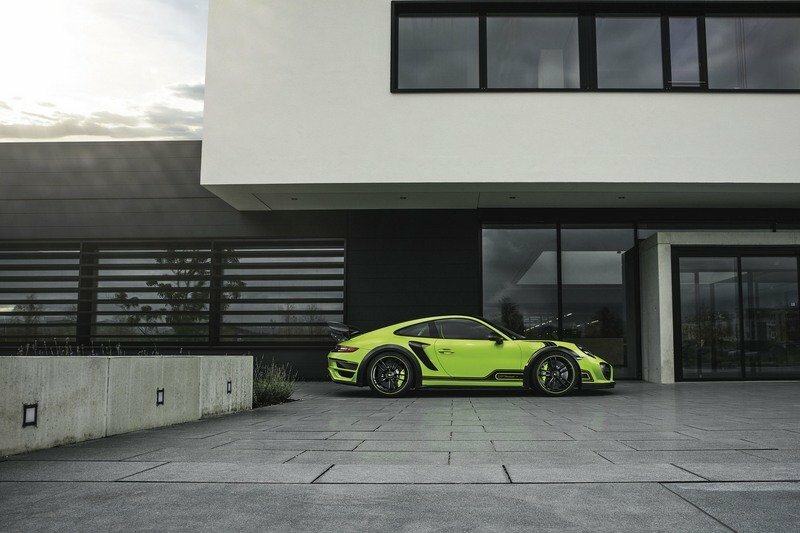 The exterior alone is worth the price of admission as TechArt fitted it with a massive but lightweight carbon fiber aero dynamic body kit that turns the tables on the car’s prized aesthetics while also laying down huge improvements in its handling capabilities. Move to the side and there are more aerodynamic treats to be had, including the carbon fiber fenders and their respective wheel arch air outlets. Carbon side skirts add another layer of style and function to the whole equation while the carbon air intakes just in front of the rear wheel arches helps maximize the amount of air that flows straight into the intercoolers. And then there’s the rear section, which is honestly a world onto its own. 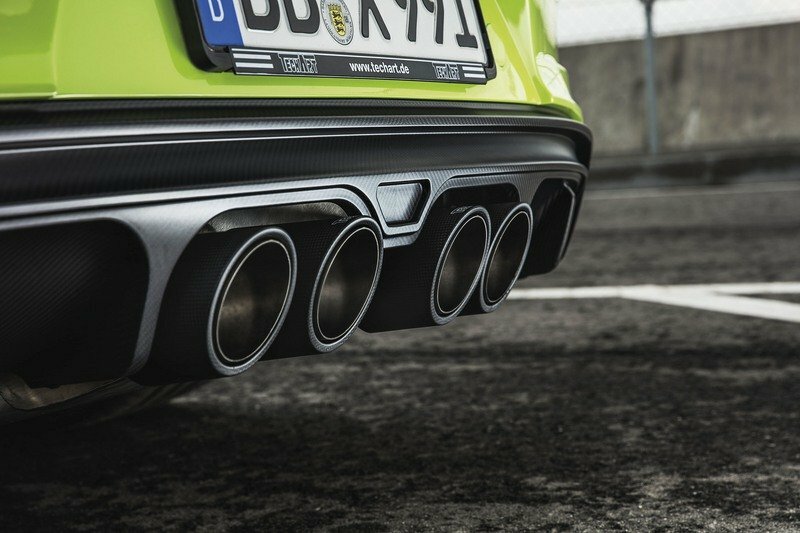 It features a new rear apron with its own air outlet ducts and a carbon rear diffuser that frames the new high performance exhaust system that TechArt installed into the 911 Turbo S. There’s also an oddly shaped carbon air intake unit thrown in there to help ensure that the engine gets an adequate supply of air coming to it. But the real treat in this section is the active GTstreet R rear wing that is so big it actually has its own carbon side panels and winglets. Even better, that same rear wing can be automatically adjusted by up to 15 degrees if the driver wants to play with the car’s Performance Mode. The natural inclination here is to go straight to Gemballa and see what it did with its own Avalanche program for the same 911 Turbo S. It is worth mentioning that TechArt and Gemballa can have its own rear wing showdown to see whose wing version looks and feels more mental. Beyond that, the Avalanche tuning kit is also made up of a new skirt, a carbon hood, LED daytime running lights and massive carbon fiber intakes in the front. 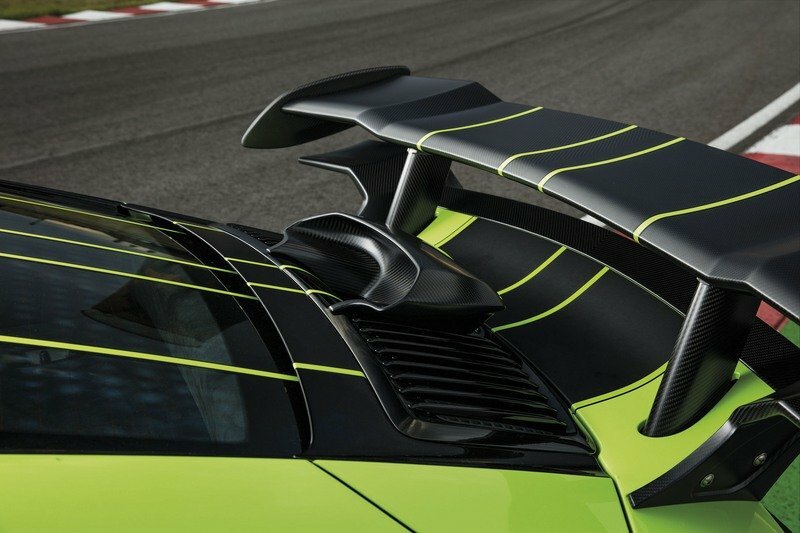 It also comes with side skirts, wider fenders, and a “you-can’t-miss-it” GT-style fin that was put in there to help improve the sports car’s handling credentials. 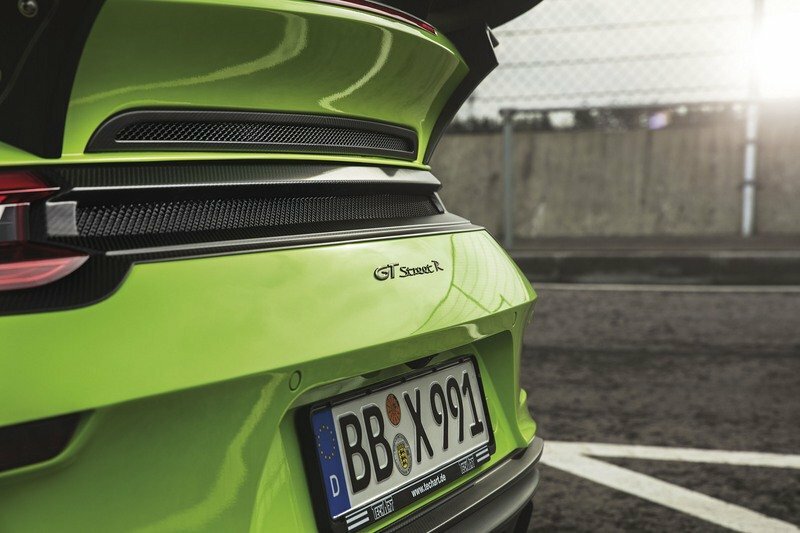 At the back sits the tuner’s own version of a redesigned rear apron and quad tailpipes that have been been dressed to look like four jet turbines about to launch the 911 Turbo S into the last frontier. And to make choosing between these two kits even harder than it already is, Gemballa also offers a set of its own swanky 21-inch, gold-finished, forged alloy wheels. Considering what the TechArt and Gemballa already have extended to owners of the 911 Turbo S, it seems like mentioning Porsche’s own exterior upgrades through Porsche Exclusive is now just an afterthought. Still, more alternatives means more choices for customers and it’s important to mention Porsche Exclusive here because it does have plenty of packages and options to choose from. Exclusive body color options, for example, are extensive if owners of the 911 go this route. 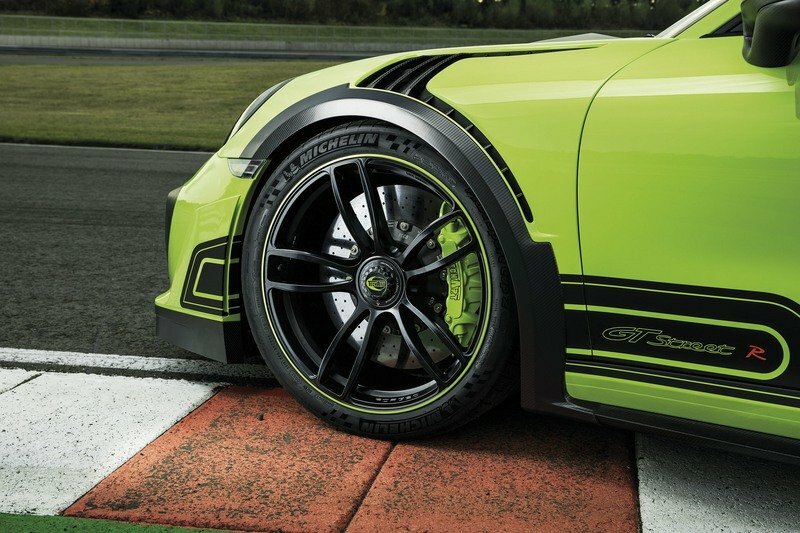 There are also a handful of aero packages to choose from, including the Aerokit Package that consists of two key components: a front spoiler lip and a redesigned rear lid and other Porsche Exclusive-designed components like bespoke headlamps and taillights, exclusive wheels, body trims, and custom paint colors of the bespoke variety. 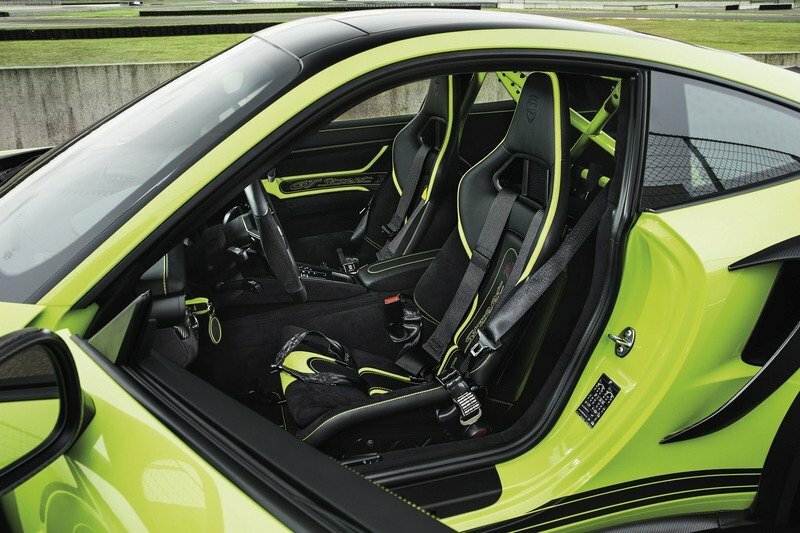 If customers need any more proof that TechArt’s GTStreet R program for the Porsche 911 Turbo S is an exhaustive piece of work, consider then that the tuner created not just one, but two different interior upgrade variants. There’s the “Exclusive” package, which is fitted with the most exclusive of exclusive leather trims and there’s the “Clubsport” package, which not only replaces all that leather with an equally premium Alcantara trim, but also comes with door opening loops, six-point harnesses, and a roll bar that matches the color of the 911 Turbo S’ body. Rounding out the interior upgrade program for the 911 Turbo S is TechArt’s very own sports steering wheel, which, by the way, is smaller and more compact than the standard wheel fitted in by Porsche itself. Apart from these exclusive items are “common” features included in both interior upgrades. There’s the door pane inserts and seats with GTStreet R design stitching. There’s also the choice to cover certain surface sections of the car, including the dashboard, center console, roof liner, sun visors, and door pillars in either leather or Alcantara. Other sections like the steering wheel, the air vents, the air vent adjusters, the PDK gear selector, the gear lever surround, and the seat adjustment can also be lacquered in a custom color depending on what catches the eye of the owner. Then there’s the plethora of carbon fiber trims that actually come as an extra option. If a customer feels the desire to get them, TechArt has these trims available for the panels or seat back-panels in different visible carbon fiber finishes, among other things. Before I forget, typical interior upgrades like the color-matched instrument dials, door entry guards, and aluminium sport pedals are also included among the laundry list of TechArt’s offerings. Rounding out the interior upgrade program for the 911 Turbo S is TechArt’s very own sports steering wheel, which, by the way, is smaller and more compact than the standard wheel fitted in by Porsche itself. Size notwithstanding, the steering wheel can be fully customized in terms of the color it receives and the material it’s going to be covered in. More than these things, it also comes with a straight-ahead marker and paddle back-covers. Given the quality of both tuners exterior upgrade programs for the 911 Turbo S, it’s only fitting that similar comparisons can be made for the interior. See, Gemballa also went tuner crazy with its interior upgrade program for the 911 Turbo S. As you can see in the photos, there’s plenty of black and white leather included in the program to go with huge amounts of Alcantara and visible carbon fiber. Move to the back and it becomes clear that Gemballa’s Avalance program for the Porsche also involves changing the overall makeup of this area, including the addition of a pair of foldable seats and extending the center tunnel to create an independent separation of the two. 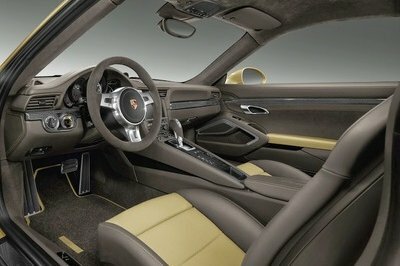 It’s definitely a novel approach, although I do think that there are customers who may prefer to keep the traditional interior layout of the 911 Turbo S.
To be clear, Porsche Exclusive remains a solid choice in this regard, even if TechArt’s interior upgrade program is as exhaustive as we’ve seen from any of the recent programs for the 911 Turbo S. But, this is really where Porsche Exclusive shines, as exemplified by its past works, including the very expressive work from the 911 Turbo Lime Gold, which remains a favorite here in the TopSpeed office. 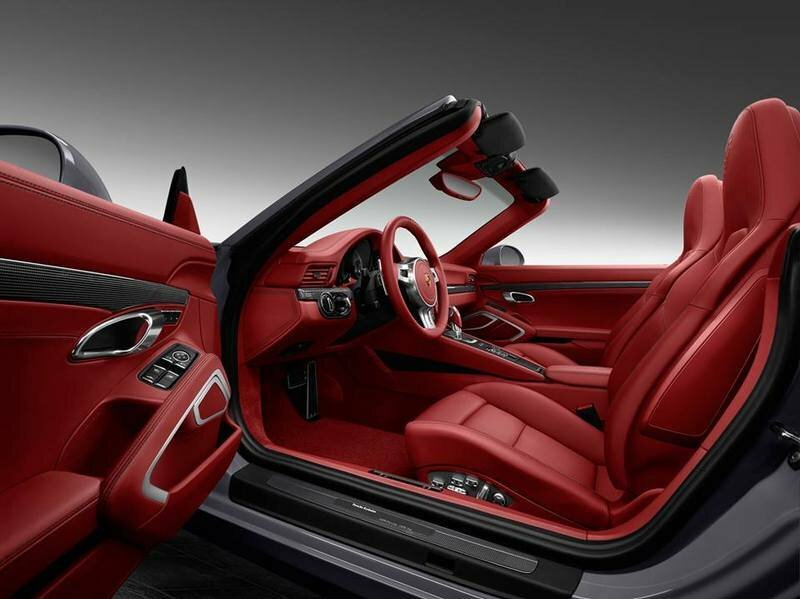 In the event that such a treatment doesn’t cut the mustard, there’s also this red-and-black project that Porsche Exclusive did for the 911 Cabriolet. 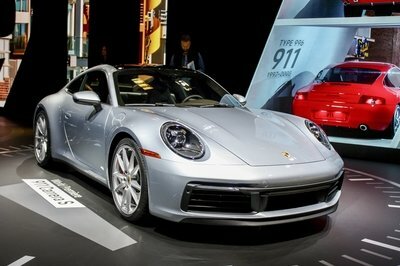 Either way, there’s no denying that Porsche Exclusive knows what it’s doing here, which is probably a big reason why a lot of owners have opted to take this route instead of actually going to the aftermarket world. ￼Note: side-by-side interior photos of the Porsche 911 Turbo Lime Gold and the 911 Cabriolet by Porsche Exclusive. “Variety” is a central theme of the new Porsche 911 Turbo S GTStreet R and just as there are choices for customers with the interior upgrades they want to get fitted into their cars, the same luxury is being afforded to them with the engine upgrades. Yep, TechArt has two programs available for the 911 Turbo S, beginning with the TA 091/T1.1 Techtronic software tuning kit that increases the output from the sports car’s 3.8-liter, bi-turbo, six-cylinder engine to a stout 640 horsepower and 649 pound-feet of torque. Do the math and that represents an increase of 60 horsepower and around 96 pound-feet of torque over the standard output of 580 horsepower and 553 pound-feet of twist. Impressive, right? Well, the tuner says that with the tuning kit in place, the 911 Turbo S would be capable of sprinting from 0 to 60 mph in just 2.7 seconds before peaking at a top speed of 210 mph. Again, compare that to the standard 911 Turbo S and you’re looking at cutting that sprint-to-60 time by 0.1 seconds to go with an increase in top speed of just over 12 mph. The results do wonders for the 911 Turbo S, but since this is TechArt, another engine upgrade program is waiting in the wings. This one is called the TA 091/T2.1 and it’s made up of more than just the tuner’s famed TechTronic software system. 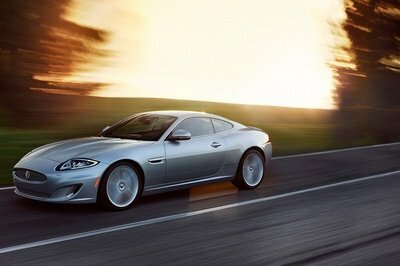 It also comes with turbochargers with variable turbine geometry, a sports air filter, a gearbox management system, and an adjustable titanium exhaust system with sport tailpipes. 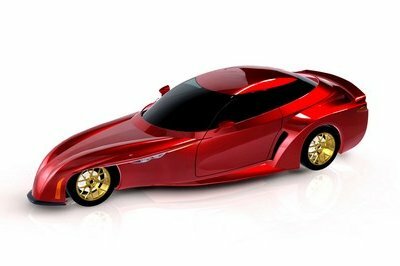 The result is an output of 720 horsepower and a mind-bending 678 pound-feet of torque. That’s good enough to allow the 911 Turbo S to cover that 60-mph distance in 2.7 seconds on its way to hitting a top speed of 212 mph. The difference in performance between the two programs isn’t much, but when you’re dealing with numbers like the ones they’re capable of giving, it all blends together to create power and speed capabilities that are right smack in the middle of supercar territory. There’s always something appealing about being able to choose how much power you’d like to have in your 911 Turbo S. The thing is though, Gemballa’s Avalanche program is a little bit more potent, at least as far as output numbers are concerned. 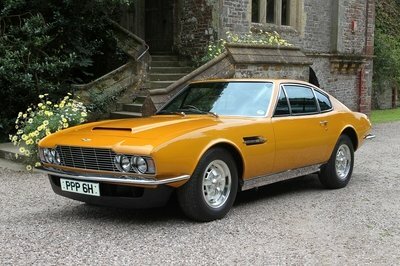 For its program, the tuner went beyond the traditional software tuning route and instead developed a newly programmed engine and gearbox electrical system to go with a performance turbocharger system, new intake manifolds and air suction housing made of carbon, new throttle valve bodies, a high-performance air filter, and reworked cylinder heads and valves. 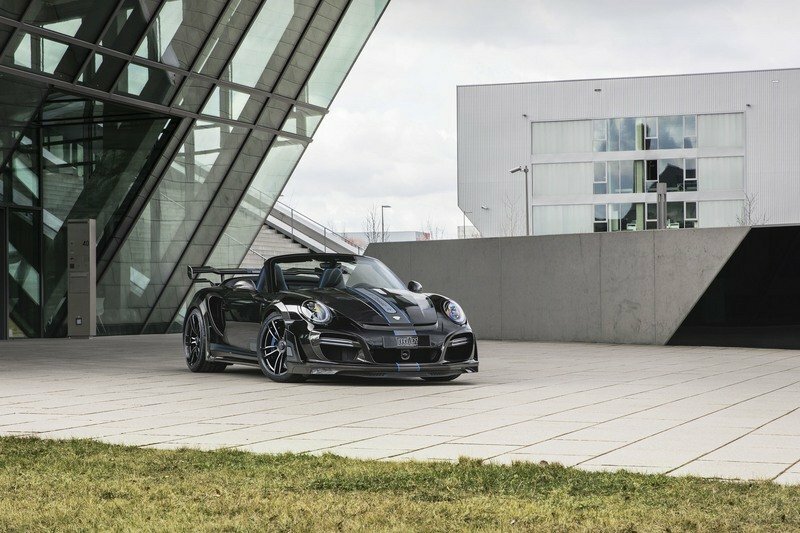 It’s a handful of new components and the finished product certain speaks to that as Gemballa was able to coax out 820 horsepower and 700 pound-feet of torque out of that six-cylinder engine. That adds up to 280 horses and 214 pound-feet of twist in extra power, enough to blast off the 911 Turbo S from an idle position to 60 mph in just 2.6 seconds to go with a top speed that should crack 215 mph. Check out how TechArt’s two engine programs compare to Gemballa’s one program in the table below. The cost of the GTStreet R program is not published publicly. That said, we’ve reached out to TechArt to get an estimate on how much the whole thing costs. Don’t expect it to come cheap though since kits as extensive as this one traditionally hits six figures. The truth of the matter is that the Porsche 911 Turbo S is an aftermarket favorite. There are a handful of programs that have been prepared for the Porsche sports car, one of which is this kit that also has its own name. It’s called “Stinger” and it comes by way of TopCar. 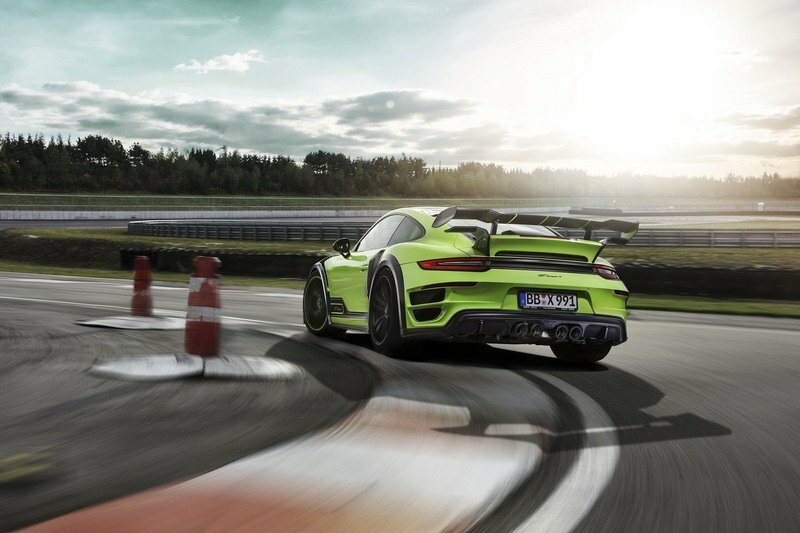 It may not have as boisterous an aero kit as the ones from TechArt or Gemballa, but it’s still significant enough to include important pieces like carbon fiber bumpers and fenders as well as a new rear wing. More importantly, there’s an engine upgrade program thrown in there too, one that the Russian tuner says is good enough to produce an output of 750 horsepower. Work the performance numbers into that equation and you’re looking at a 911 Turbo S that can go from an idle position to 60 mph in 2.6 seconds before maxing out with a top speed of about 217 mph. 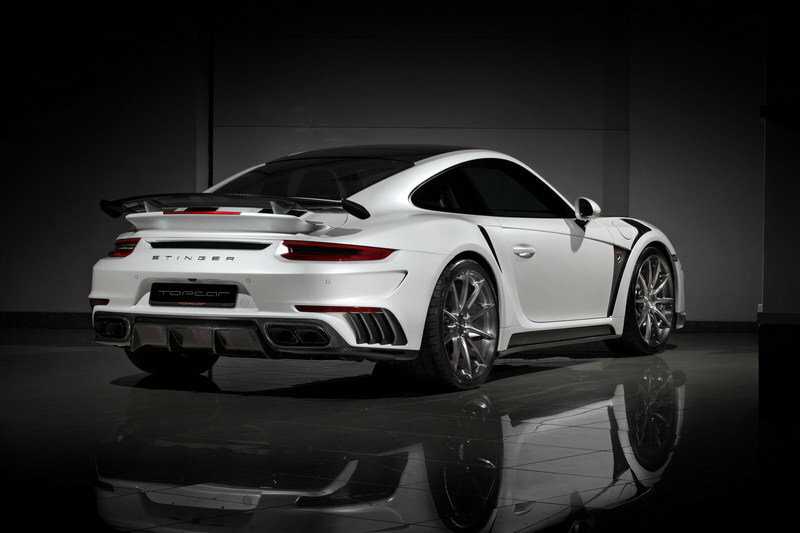 Read more about the Porsche 911 Turbo Stinger GT3 Gen2 by TopCar here. Coming in as an older program relative to its rivals is this it from Edo Competition. It doesn’t offer much in terms of bombastic power gains, but the software program developed by the tuner is still good enough to get almost 600 horsepower and 575 pound-feet of torque. According to Edo Competition, those figures translate to a sprint time to 60 mph of 2.8 seconds to go with a top speed that’s within range of 210 mph. Find out more about the Porsche 911 Turbo by Edo Competition here. 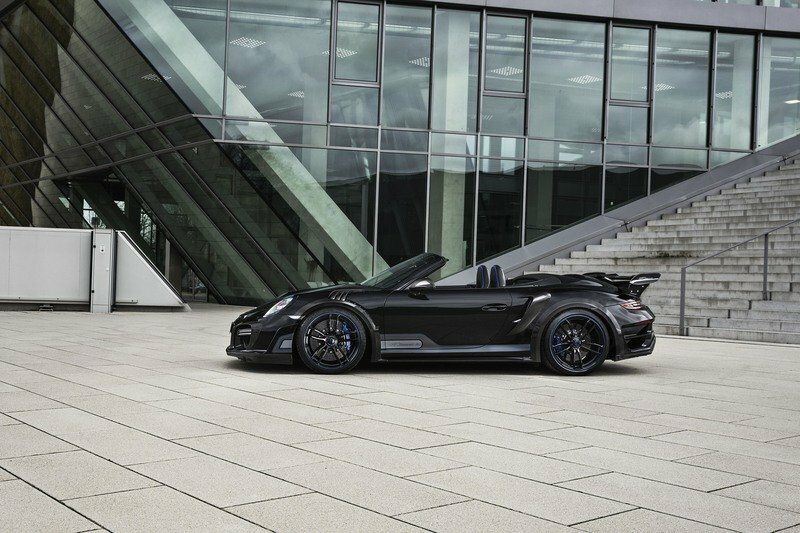 TechArt’s next-generation GTStreet R program for the Porsche 911 Turbo S is as good as it’s going to get for owners of the popular sports car. It has some strong competition from Gemballa, but it still possess an enviable combination made up of an outstanding aero kit, a dressed-up interior, and powerful engine upgrades. 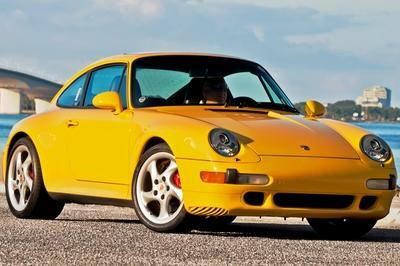 It’s hard to go wrong with this kind of tuning combination, more so if it comes from a company that has a well-chronicled history of excellent kits for Porsche’s most popular model.